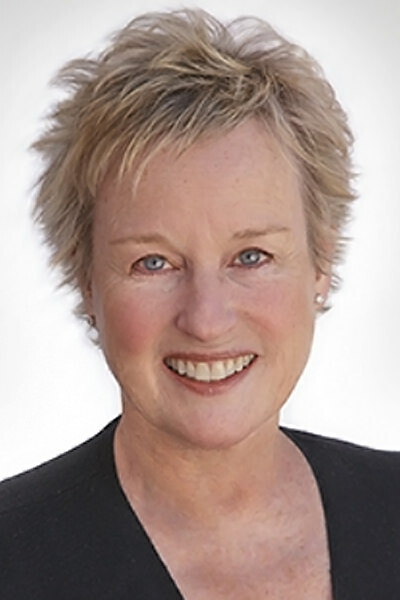 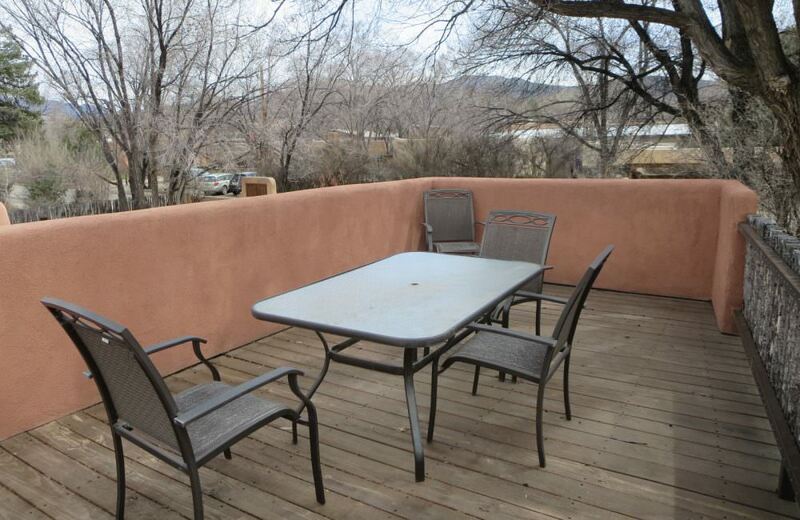 Beautifully renovated home in walk to Plaza location. 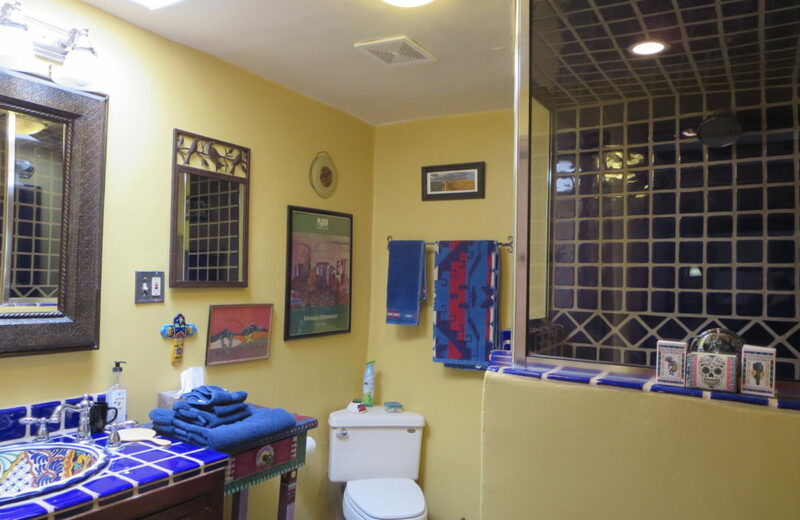 Three master suites with ensuite baths; two with attached studies; all three with access to spacious back portal and yard. 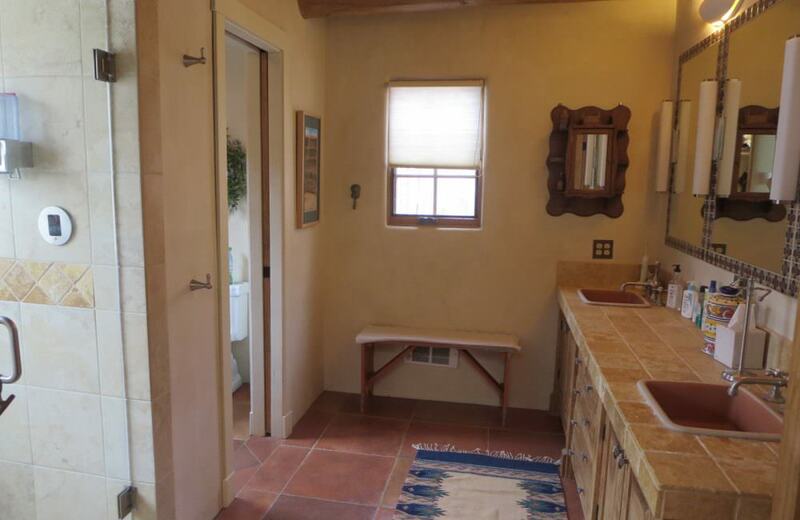 Full tub/shower powder bath off living areas. 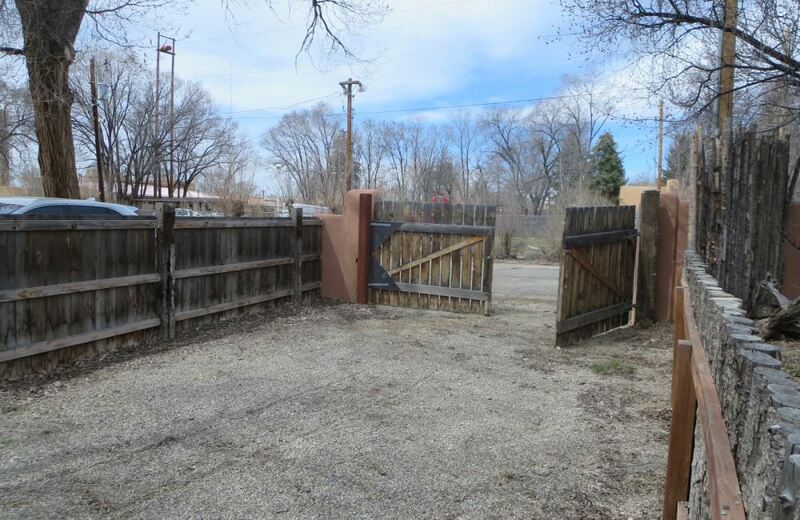 Two gated driving accesses off Hinde St and Bedford Lane. 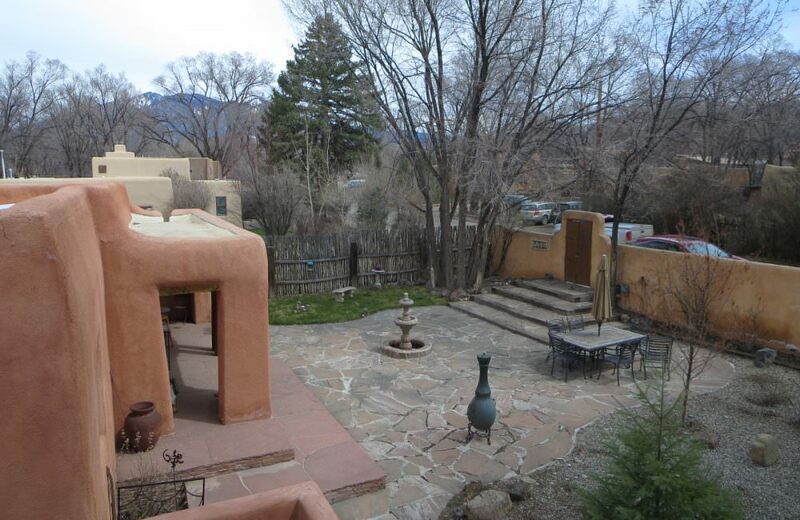 Mountain views from front and back walled courtyards as well as from viewing deck over carport. 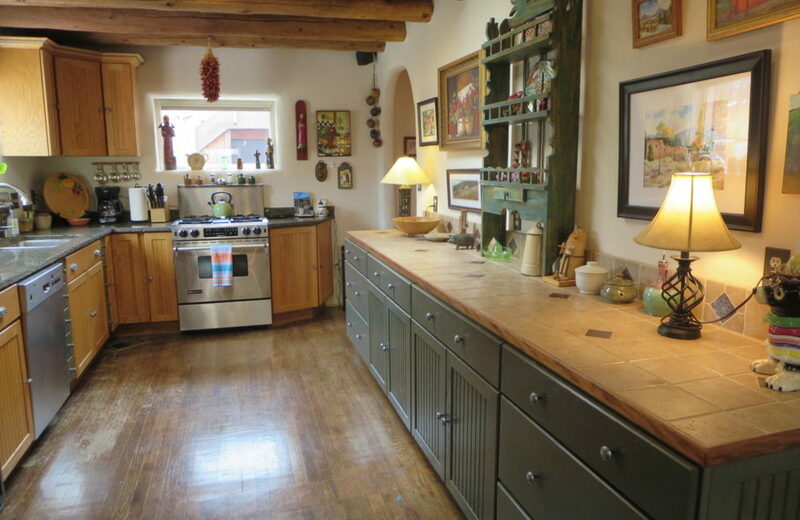 Walled breakfast garden off mudroom and kitchen. 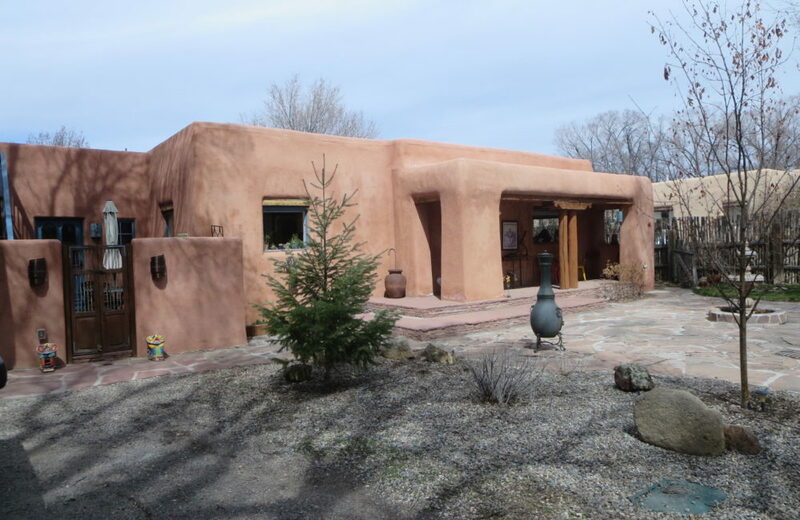 Mature, extensive landscaping and trees with developed gardens in front and back. 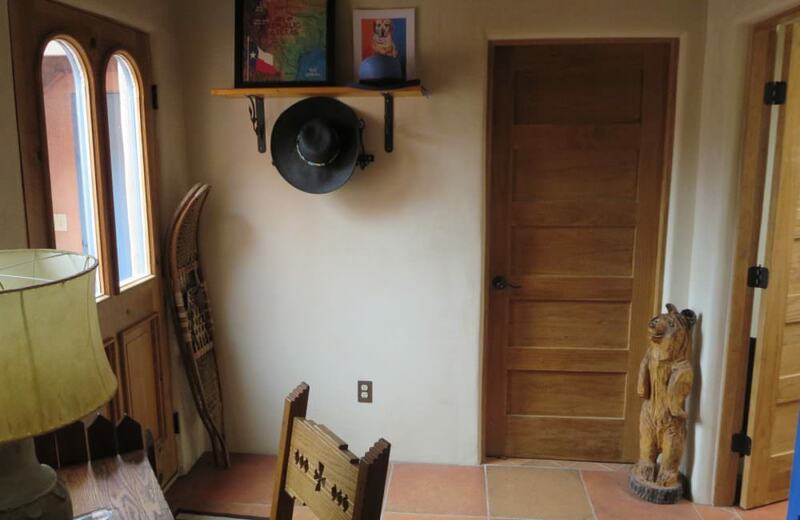 Garden shed in back yard. 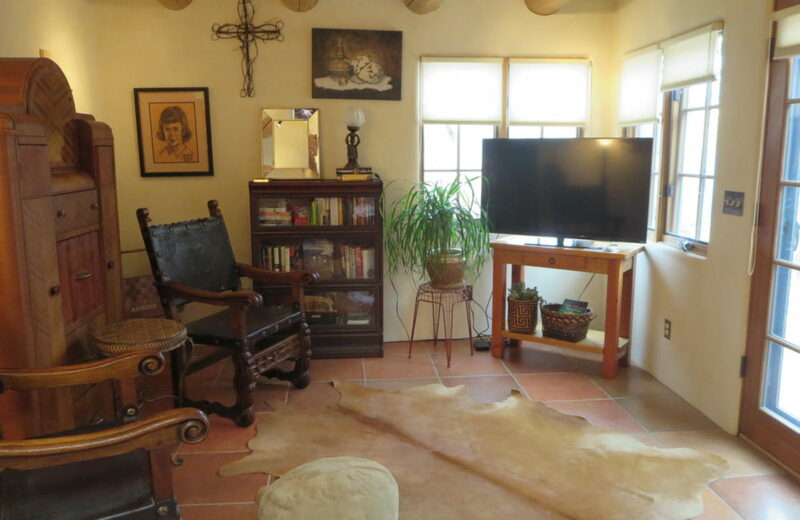 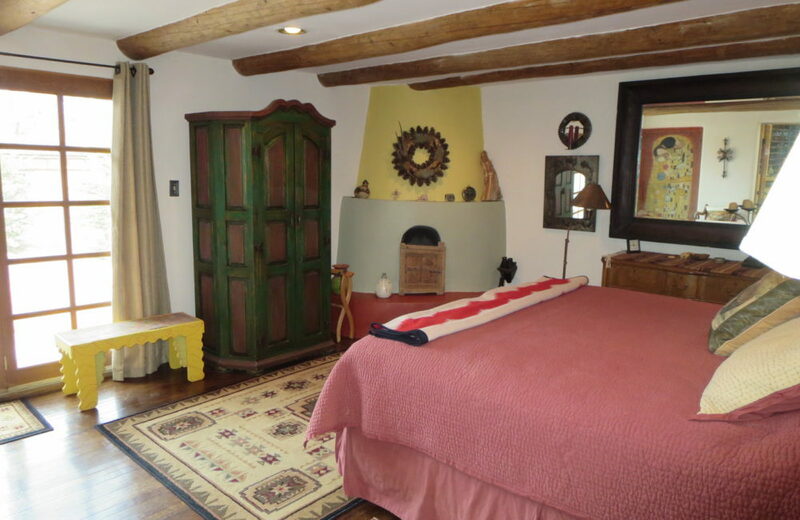 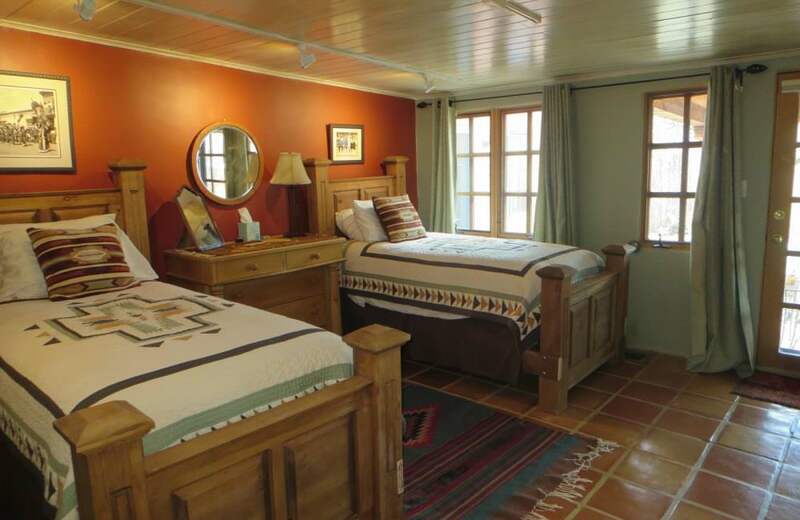 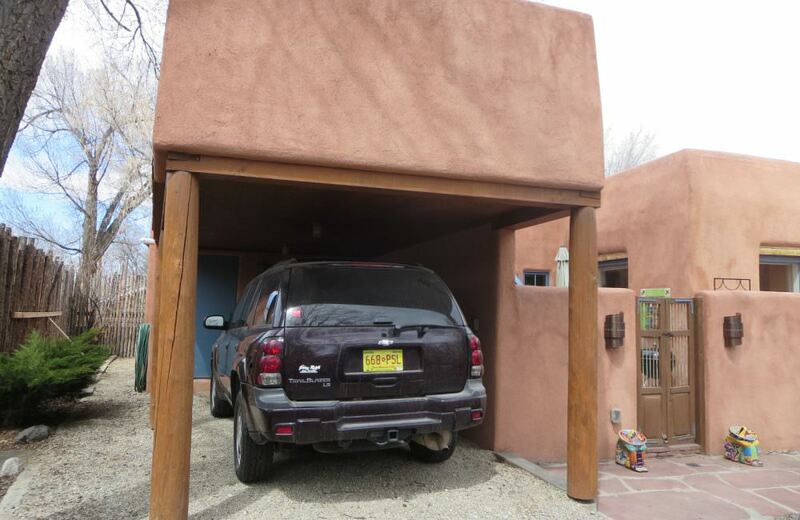 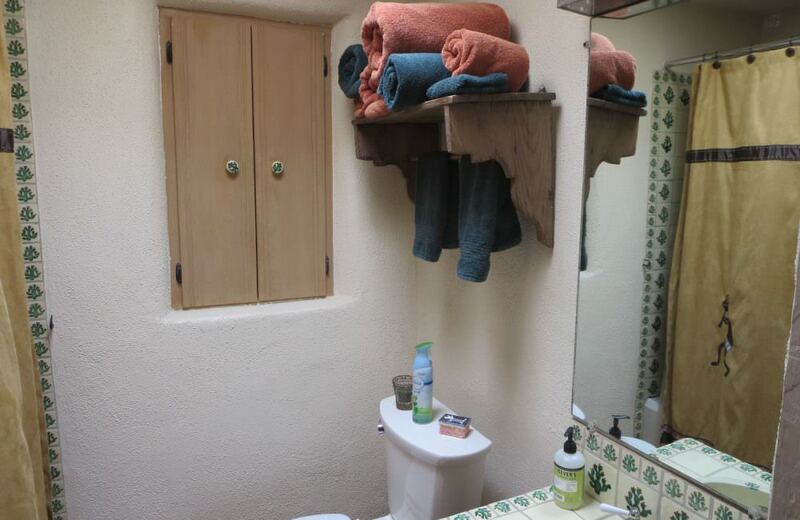 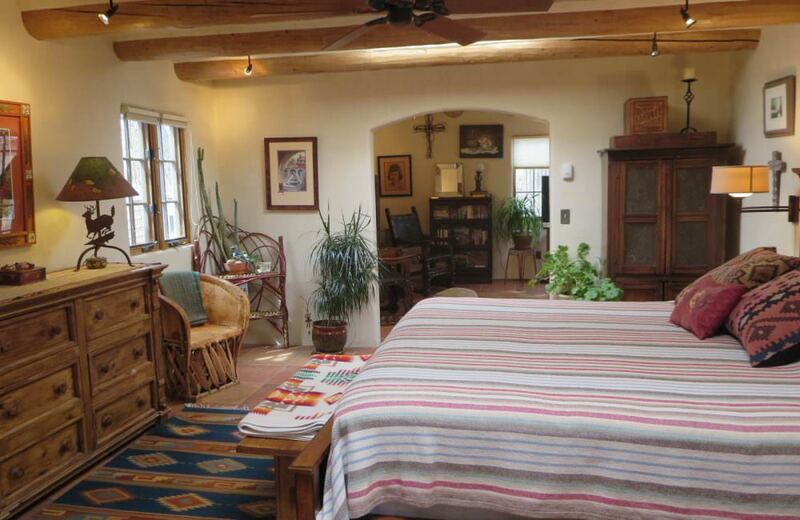 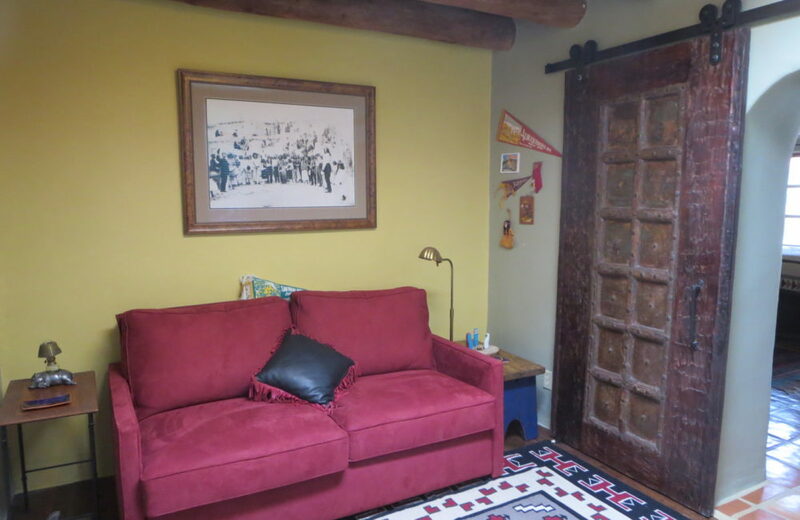 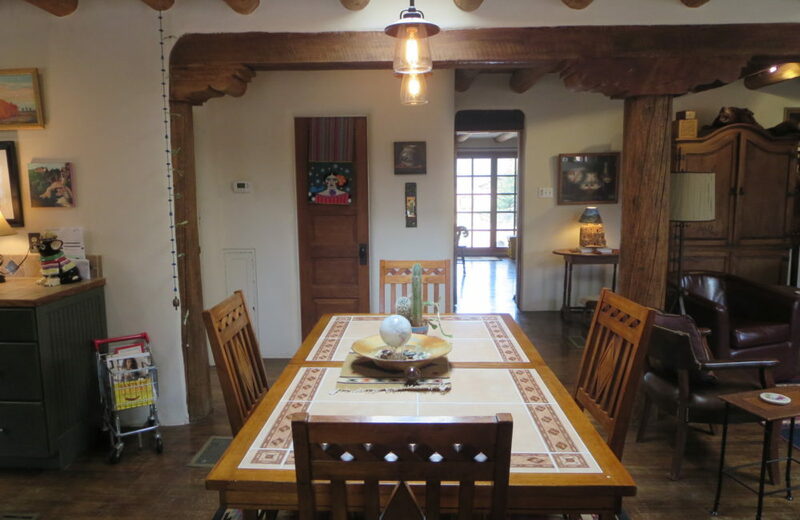 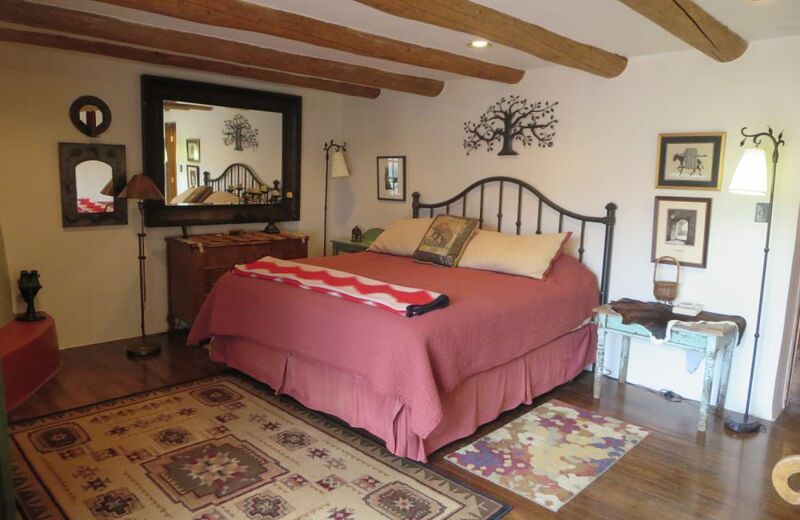 Plenty of light and large rooms with traditional Southwestern architectural features and custom finishes. 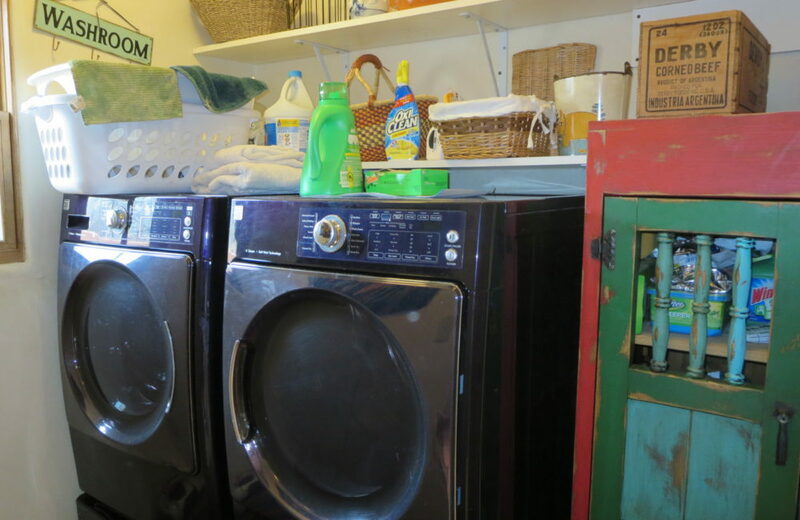 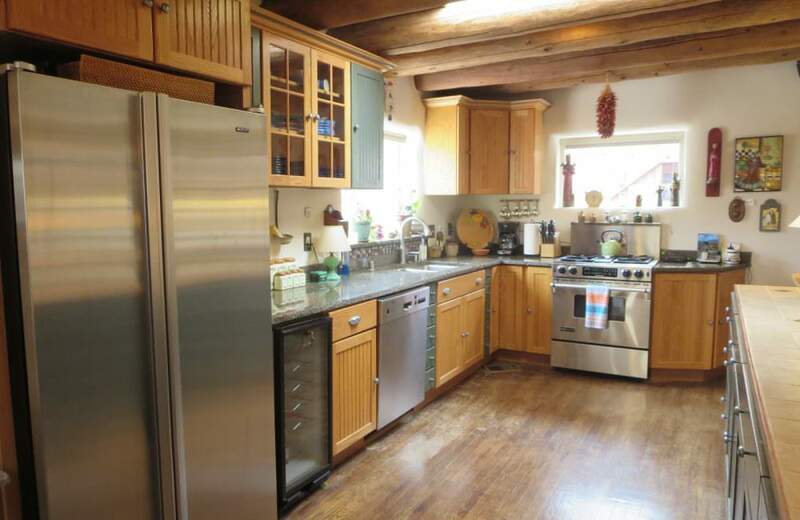 High end appliances including wine chiller. 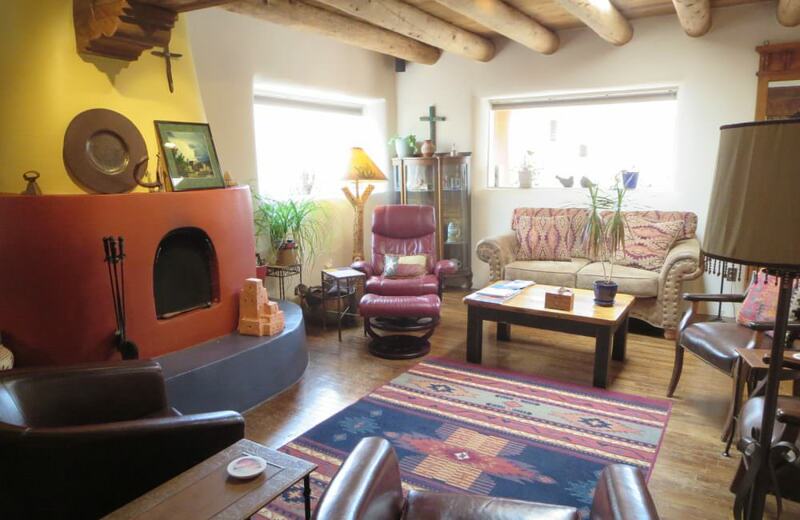 Forced air and radiant heating and air conditioning. 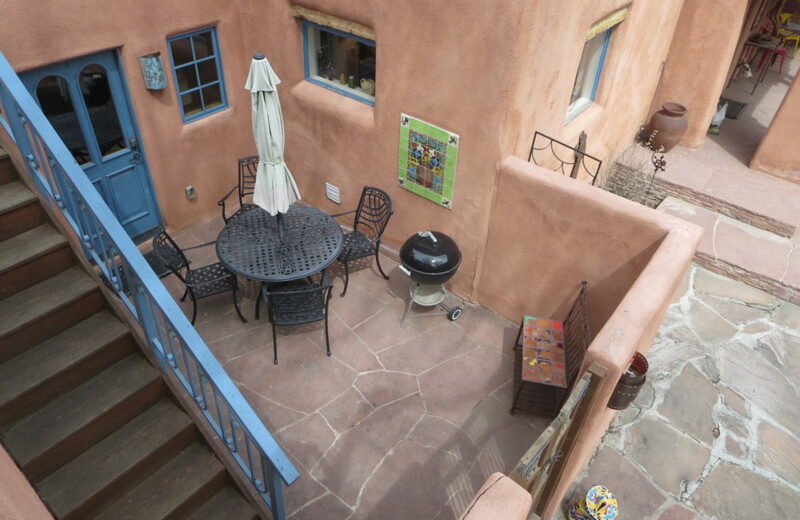 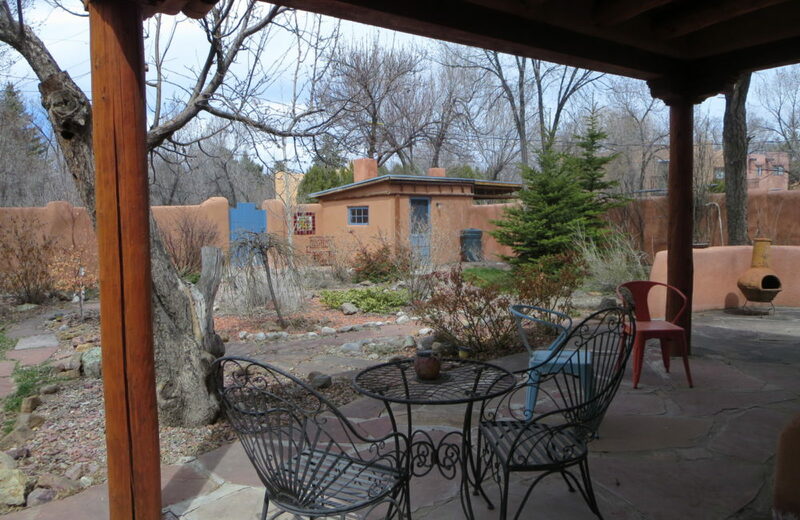 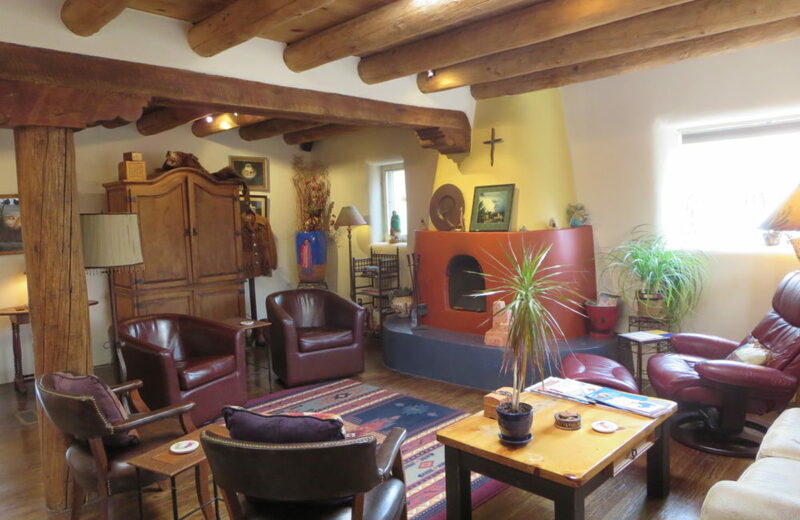 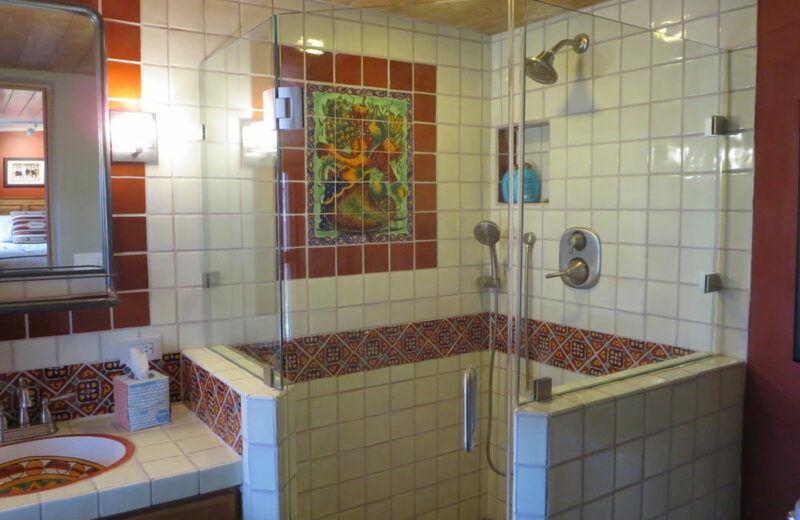 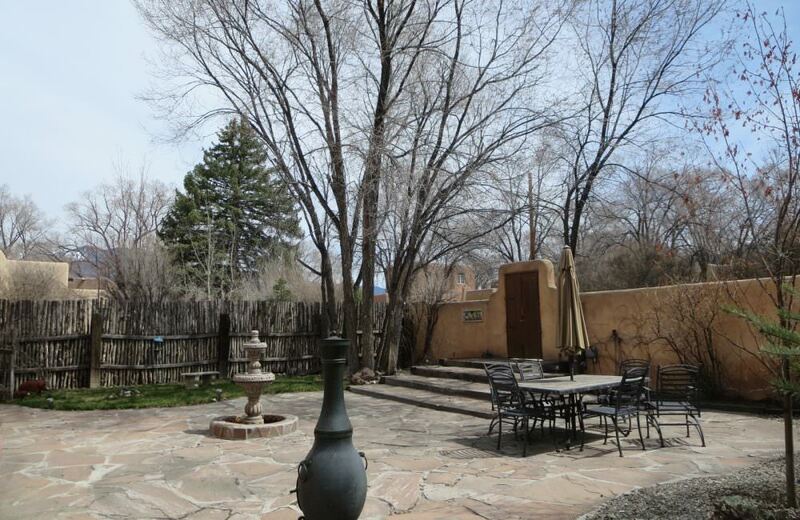 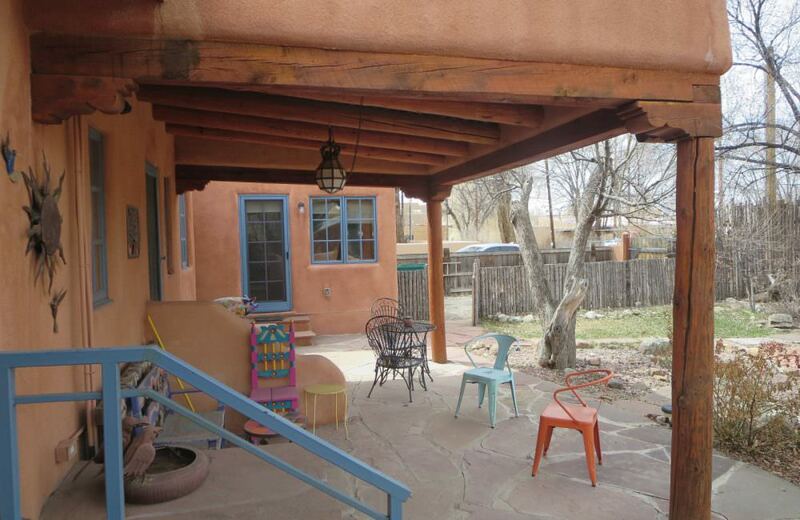 Rare opportunity for luxury living just off the Taos Plaza!